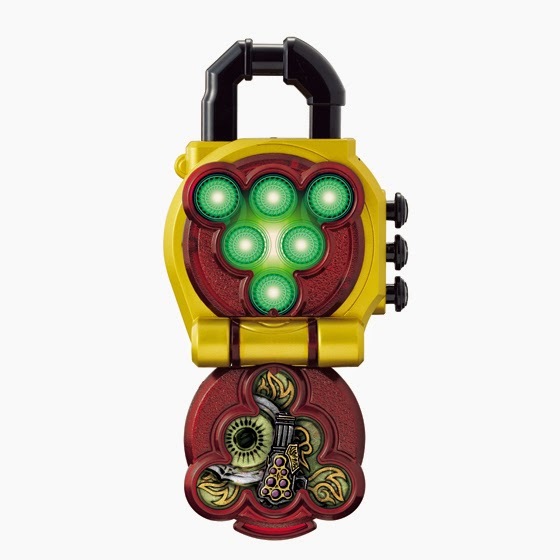 Premium Bandai's website has just released the official images fot the DX Yomotsu Heguri Lock Seed Kamen Rider Ryugen Yomi Set and the AC PB 06 Kamen Rider Ryugen Yomi Yomotsu Herguri Arms just as the form debuted last Sunday in the TV show Kamen Rider Gaim. 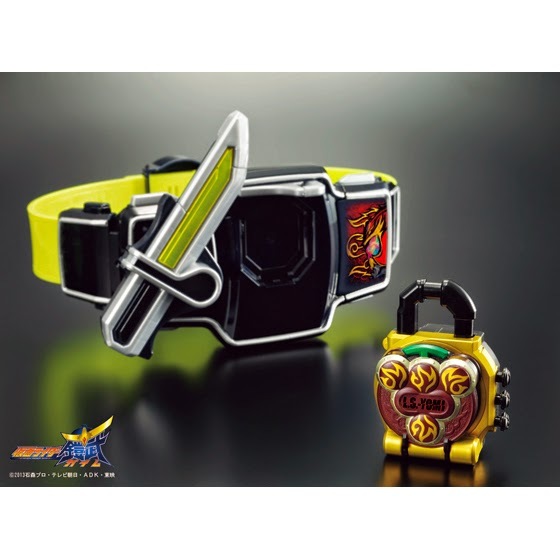 Aside from the official images, the company also posted on their Youtube channel the promo video for the sets. 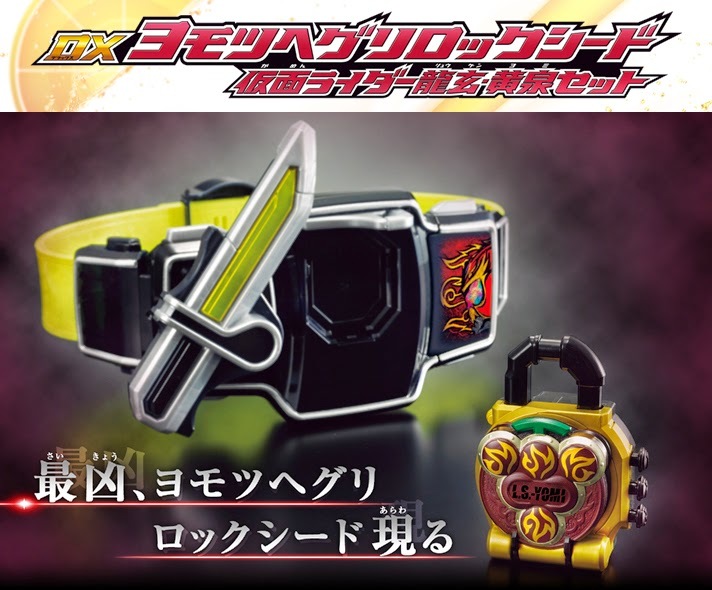 The sets represent the upgraded form of Mitsuzane - Kamen Rider Ryugen Yomotsu Heguri Arms (or to eat with the damned). 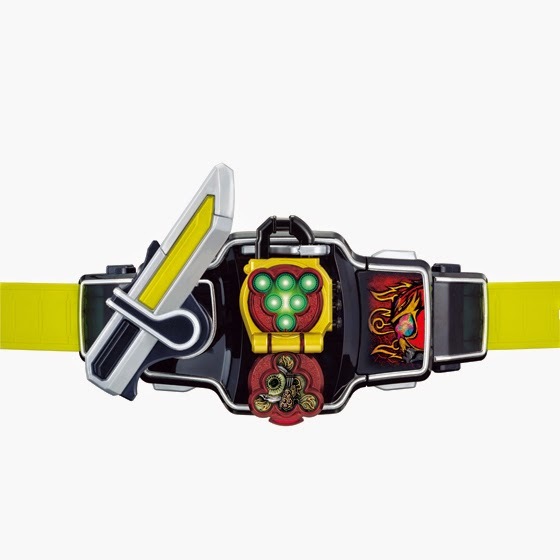 In this form Micchy will not be using his Genesis Driver anymore but a Sengoku Driver with the L.S. 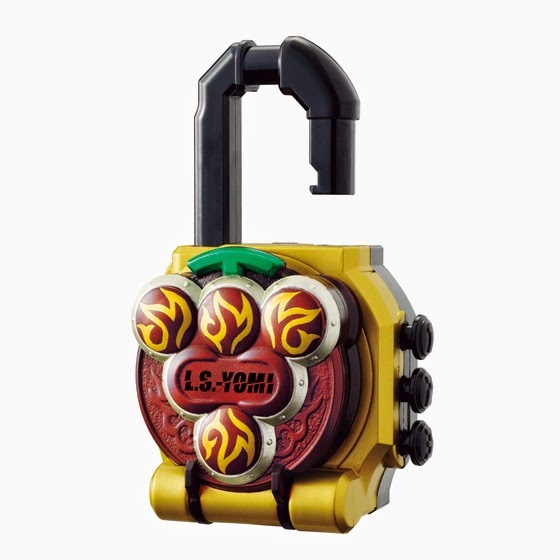 YOMI Lock Seed. 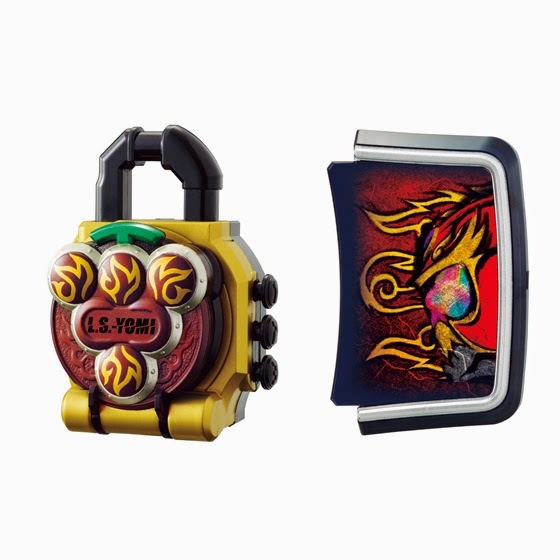 The DX Yomotsu Heguri Lock Seed Set will be released through Premium Bandai Shop this December for 2,160 yen. 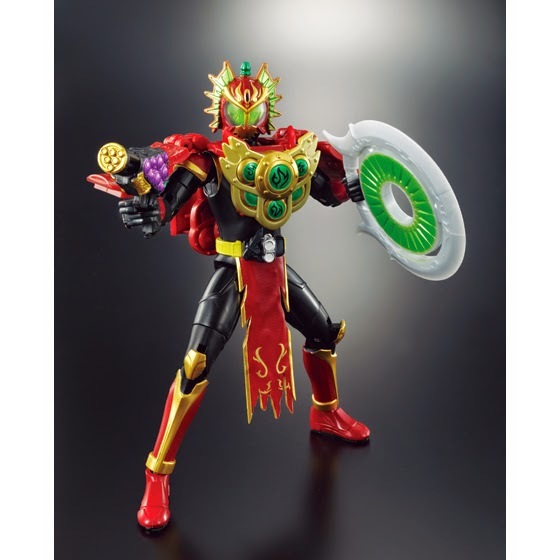 The exclusive AC PB 06 Kamen Rider Ryugen Yomi Yomotsu Herguri Arms will be released on January 2015 for 4,320 yen.